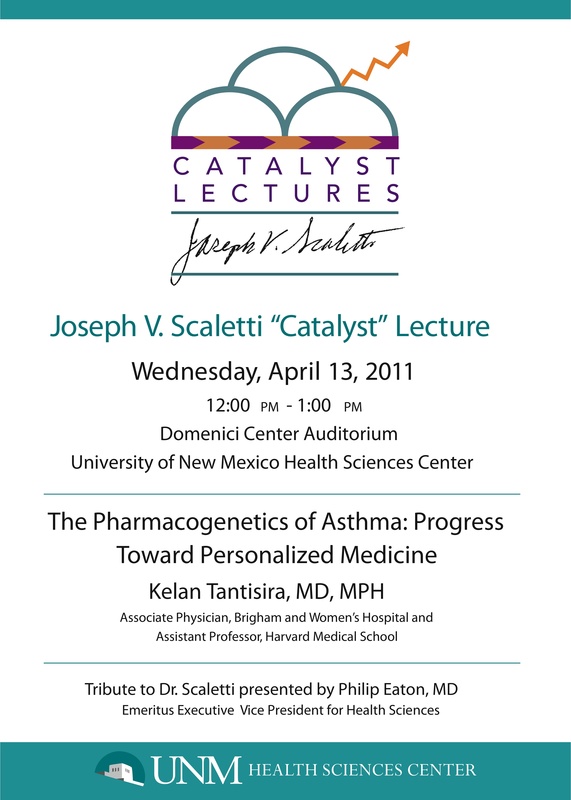 Albuquerque, New Mexico, April 13, 2011 – Harvard Medical School faculty member and Brigham & Women’s hospital physician Dr. Kelan Tantisira will be at the University of New Mexico Wednesday April 13, 2011 to present the inaugural lecture in the annual Joseph V. Scaletti Memorial ‘Catalyst’ Lecture series:”The Pharmacogenetics of Asthma: Progress toward Personalized Medicine”. 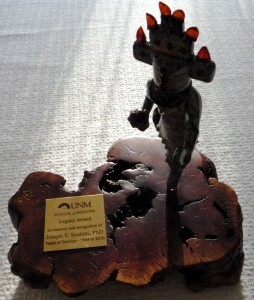 An introductory tribute to Dr Joseph V. Scaletti, one the founders of UNM’s School of Medicine, will be presented by Philip Eaton, MD, Emeritus Executive Vice President for Health Sciences. 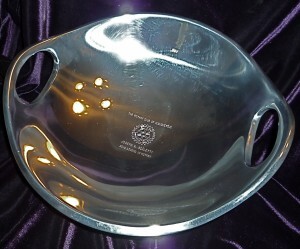 In a traditional medical education, students have been taught in terms of the average person and the classic case. But in the real world, there is no such patient. Each case is unique because each person’s genome is unique. Most of us have had some experience with the fact that drugs can affect different people in different ways. Pharmacogenetics, the study of how an individual’s genetic makeup can impact the effectiveness of a particular drug treatment, promises to revolutionize the practice of medicine by making it possible to tailor the treatment of a disease to each individual patient. This is what Dr. Tantisira calls “the Personalized Medicine Revolution”. Asthma affects 300 million individuals worldwide, a number that is expected to grow to 400 million by 2025. Asthma is primarily a children’s disease, the majority of sufferers being under 17 years of age. In the US alone, about $20 billion is spent each year treating asthma, with about 40% of that amount going toward drug therapies. Yet, despite the $8 billion a year that Americans spend on asthma drugs, only about 60% of patients respond to those drugs. If we could know in advance, through genetic testing, which asthma drugs are likely to work best for each patient, it could save time and resources, avoid unnecessary side-effects, and point the way toward understanding the causes of asthma and developing more effective drugs and other therapies in the future. Dr. Tantisira’s research focuses on how specific variations in a patient’s genome are associated with how well that patient will respond to commonly used asthma drug treatments (bronchodilators, inhaled corticosteroid (ICS), and leukotriene modifiers.) These genetic variations may also point the way to understanding the underlying causes of asthma and developing new treatments for this disease in the future. Dr. Tantisira’s lecture is being hosted by the Clinical & Translational Science Center (CTSC) at UNM, part of a new nationwide initiative to speed up the transfer of discoveries from basic biomedical research directly to those who are caring for patients, resulting in immediate improvements in health outcomes. Before scientific research can improve human health, research results must be translated from the lab bench to the patient’s bedside. This so-called bench-to-bedside transition requires two-way communication. Basic biomedical researchers can provide clinicians with new tools for fighting disease, and clinicians provide feedback and novel observations on the progression of disease that can guide the researchers’ basic investigations. One of the goals of the CTSC is to facilitate this two-way conversation and speed of the flow of information in both directions to improve the quality of health care. An individual like Kelan Tantisira, who is both a practicing physician and a basic researcher, embodies both roles and can serve as a role model for students at the University of New Mexico who are being trained to practice the medicine and basic biomedical research of the future. 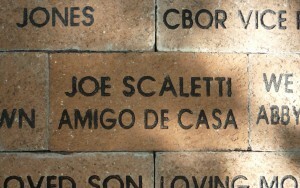 Described as “a Public Forum for Envisioning the Future of Biomedical Research, and Innovative Models for Healthcare Education and Delivery” the annual Joseph V. Scaletti Catalyst Lecture features an individual, institution, or idea responsible for accelerating the rate of positive change and forward progress in the areas of biomedical research, healthcare education, or healthcare delivery. 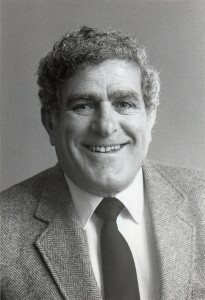 These lectures are presented in honor of the late Dr Joseph V. Scaletti, PhD, one of the founders of the University of New Mexico School of Medicine; UNM’s first Vice President for Research; creator of the Allied Health Sciences program; organizer of the first Rural Health Interdisciplinary Program; chair of the first legislative committee on distance education and telehealth; co-founder of Project ECHO which uses telemedicine to treat chronic diseases in rural New Mexico; educator, mentor, and researcher. 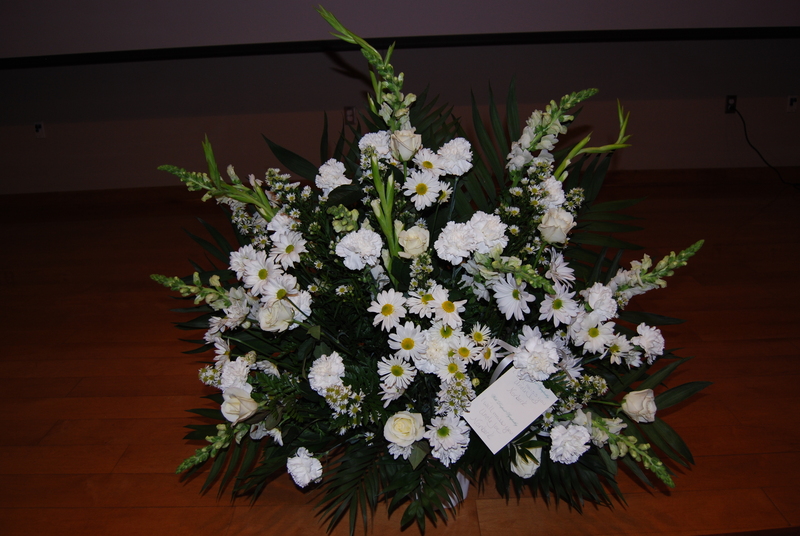 For photographs and video clips from the May 8, 2010 memorial service and reception honoring Joseph V. Scaletti, please visit the new Memorial page. 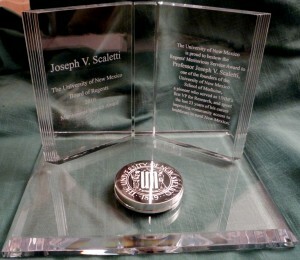 Please join us in remembering and honoring Joseph V. Scaletti at a memorial service on Saturday May 8, 2010 at 5 pm in the Domenici Center Auditorium on the UNM HSC campus, hosted by HSC Vice President Paul Roth and Director of Development Sherry E Wilson. A reception will immediately follow next door.